Go to SiteBuilder Dashboard. 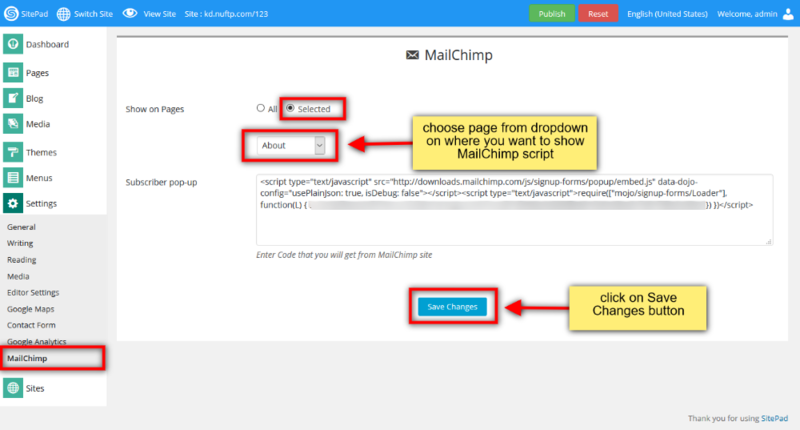 Hover on Settings option given on the left sidebar and then click on MailChimp option as shown in image below. 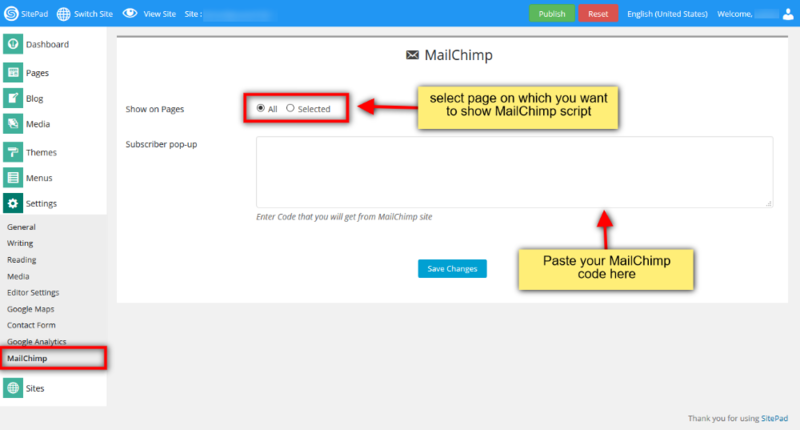 You will be redirected on MailChimp Page.